Arsonists are driven to start fires for many reasons. Some do it for financial gain. Some are seeking revenge. Some want to be heroes. And some suffer from psychological or emotional issues. It’s not easy to spot the signs of an arsonist. For-profit arson is an umbrella term that covers such crimes as insurance fraud and destroying inventory. Instead of foreclosing on their houses, this type of arsonist would rather burn down his or her house and as Burns calls it “sell it to the insurance company,” taking the arsonist out of any foreclosure and debt. The for-profit arsonist can hire someone to burn down the house or make it a do-it-yourself job. The Revenge-motivated Arsonist: These are the people who set fires out of rage. Revenge-motivated arsonists feel as if they need to retaliate to gain satisfaction. Such arsons can be divided into personal revenge and societal, institutional, and group retaliation, according to the United States Fire Association, a federal agency that provides fire data and fire education and research. In 1990, a jealous ex-boyfriend of a club goer set the Happy Land Social Club on fire in the Bronx. 87 people died. The “Hero”: These are people who set fires just to rescue the victims. The “hero” thrives on excitement and attention. A subcategory of the “hero” is the firefighter-arsonist. More than 100 firefighters a year are arrested for arson, according to a 2008 report from the National Volunteer Fire Council, a national association representing volunteer fire, EMS and rescue services. “They use the fire as a vehicle to feel better about themselves and to be viewed as someone who is heroic,” said Berrill. “Firefighter-arson” is the term used by the United States Fire Association. 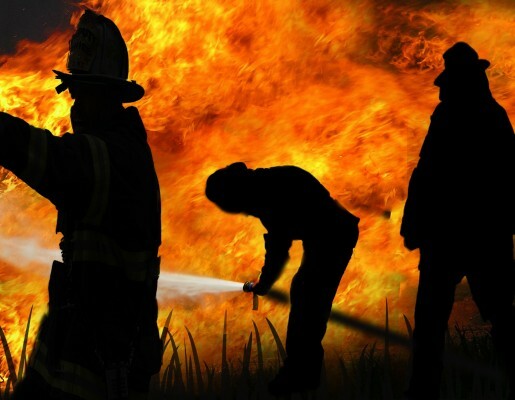 In the early 1990s, an FBI study concluded that 75 firefighters were responsible for 182 fires, according to the United States Fire Administration Security National Fire Data Center. The Firebug: Also called a pyromaniac by the Administration and psychologists who treat them. This is a person who’s excited, sometimes sexually, by fire and the adventure that fire brings. “There is some pleasure taken in the fact that they are the source of the fire in the sense that it starts with them,” said Berrill. The pyromaniac enjoys the pageantry of the fire trucks and the presence of police officers as well as the distress of the victims. Most firebugs surround themselves with their “achievement,” watching and re-watching the news coverage of the fire. The firebug also goes back to the scene, says Pam Kulbarsh, a nurse who for eight years conducted in-the-field psychological evaluations—including of arsonists—for the San Diego police. Firebugs are usually emotionally immature, an angry person who feels powerless. Arsonists, like the firebug, escalate their fires over time, according to Berrill. In February, a 23-year-old Queens man was caught after a three-day spree of starting six fires in two Queens malls. The firebug’s frenzy started with a small fire in Macy’s at the Queens Center Mall, then escalated to setting clothing on fire in The Burlington Coat Factory in the Rego Park Center Mall. “We all like to watch fires,” said Pam Kulbarsh, a nurse who performed in-the-field psychological evaluations on criminals including arsonists. “But it’s the draw to the fire that you have to keep pulling the kid back from.”The American Psychological Association suggests fire-safety education, medication consultation and therapy. If untreated, the child fire-setter will only continue. Childs Play:Fires started by children amounted to close to 50,000 fires across the U.S., accounting for 80 civilian deaths, according to 2011 data, the latest available, from the National Fire Protection Association, an organization that works for fire prevention regulations and public safety. Children who set small fires at home soon progress to larger fires, says Berrill. Younger children were more likely to set fires in homes, while older children and teenagers are more likely to set fires outside, according to the Association. “Children start small with small fires. Then they get bigger,” said Burns. “It could be the building owner. “So then it’s dumpsters and then it’s vacant buildings. Then it’s buildings with people in them.”Adolescents are attracted to firecrackers and explosives, says Berrill. Parents should supervise and monitor these interactions with fire.